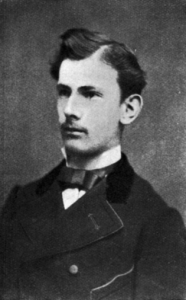 Peukert’s Law, first formulated in 1897 by German scientist W. Peukert, is a mathematical expression of a battery’s capacity in relationship to its discharge. 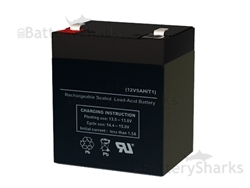 In other words, as the battery’s discharge rate increases, its available capacity decreases. t is equal to the actual time it takes to discharge the battery. H indicates the hours of rated discharge time. This is usually equal to 20 hours, but may fluctuate if the discharge current is higher than manufacturer expectations. C stands for the rated capacity at the discharge rate expressed in ampere hours. I stands for the actual discharge current as can be measured in amperes. k indicates the Peukert constant. 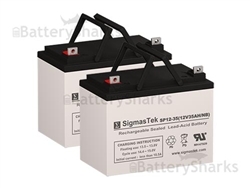 Different batteries will have different Peukert constants. While the above is useful in determining the battery discharge rate, certain factors will influence the supposed Peukert constant, as illustrated by k. Variants in temperature and a high self-discharge current will have a negative effect on the battery’s calculated capacity, as will the age of the battery. 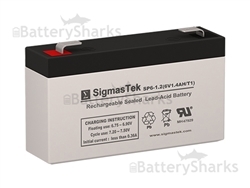 Most lead acid batteries have a Peukert constant of 1.1 to 1.3. If the Peukert constant must be figured for a battery over 6 months of age, or one that has been exposed to extreme temperatures, a value of .1 can be added to the constant k.